Here at the roastery, we are limited in what we can put through conventional recycling. A lot of the industrial waste materials are not accepted by conventional waste management companies, so the last 12 months has been about finding specialist companies that can increase the lifespan of our roastery waste. This one was spearheaded by our Wholesale Account Manager, Craig. We sell a lot of coffee equipment, and all of it comes wrapped in huge amounts of polystyrene, which isn’t accepted in normal recycling bins. 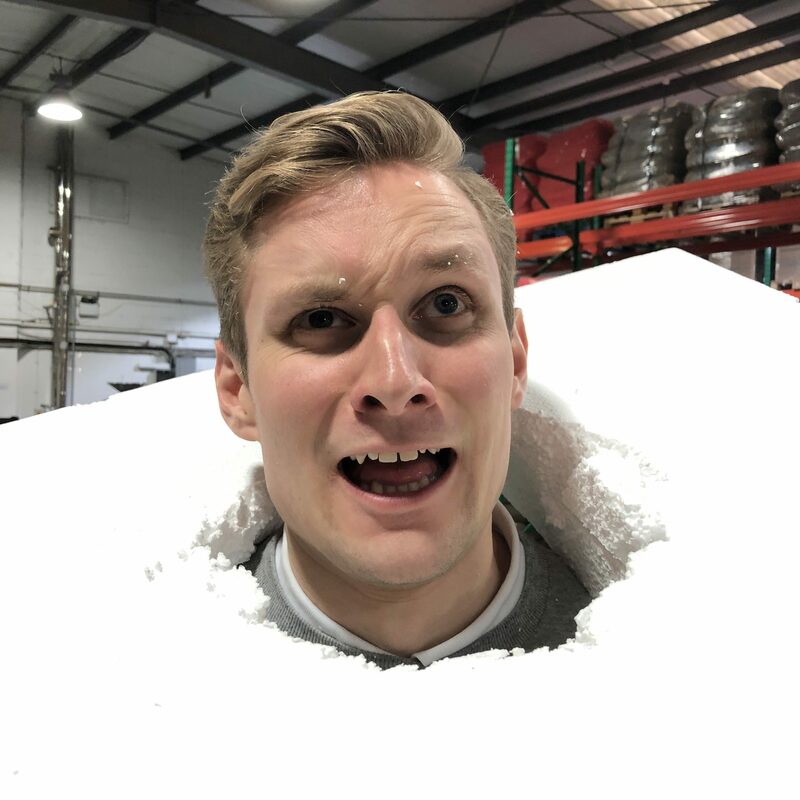 It was really bugging Craig having to throw out all of the polystyrene after every machine installation, and he was really keen to find a way to recycle them. Sure enough, we came across Rehab Recycle, who are a recycling company looking at innovative recycling services as well as prioritising employment for people with disabilities. We now build up bags of broken-down polystyrene until we have a van-load (scientific term) and bring it to their depot in Ballyfermot. In 2018 we brought 3,900L by volume of polystyrene to Rehab. This is a stopgap measure while we look at improving the packaging with our suppliers, but in the short-term it means that we can divert this from landfill, and also saves us money that we are investing in larger sustainability projects.